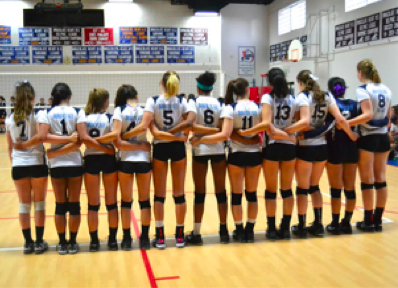 Immaculate Heart Volleyball started its season with a bang after all three school teams defeated Ramona at their first home game last week. As students and family members filled the auditorium, Meg Dehil, captain of the varsity team, stated, “It felt good to know that I have such a supportive program behind me.” Several sport teams were also seen filling the stage to show their support. With only four remaining home games, IH Volleyball fights on with a record to date as follows: Varsity (4-5); JV (2-3); Frosh (4-1).